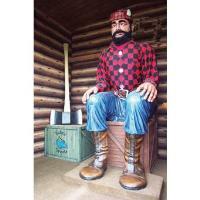 Paul Bunyan Land is hiring for a Petting Barn Attendent! This position requires someone who loves animals and is able to handle them. The attendent needs to have knowledge of the animals and be able to share the information with guests. This is a great summer job for someone who loves animals.